Whole Body Wellness Center offers spinal decompression for disc repair and the relief of back and neck pain. The number of sessions will range anywhere from 10 to 30 visits. However, the number of sessions needed and your specific treatment plan will be determined by the doctor after your examination. Doctor skill combined with the table and computerized traction head are the keys. Proper assessment, correct positioning and the use of computer programmed patterns of distraction and relaxation may reduce disc pressure allowing necessary nutrients to enliven and accelerate disc healing. 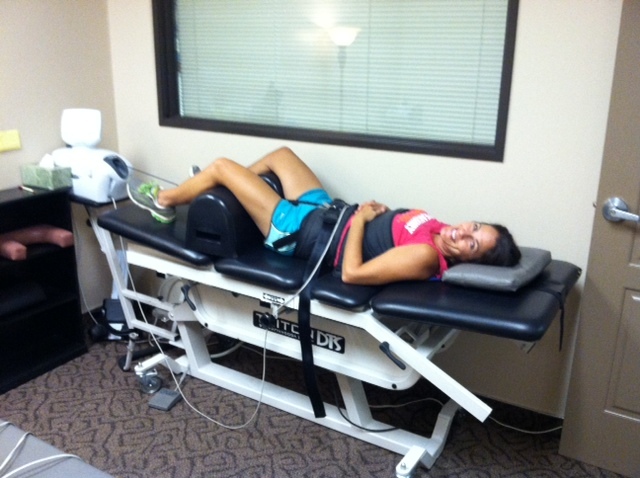 Our fee for spinal decompression session is only $75 (when purchased in blocks of 10 or more). This means the total cost will be a small fraction of the THOUSANDS other clinics are charging. We want to make it easy for you to learn if you are a candidate for spinal decompression therapy. Just call our office at (951) 276-2838 to arrange a FREE consultation with one of our doctors. Please remember to bring any MRI reports so the doctor can review them and best advise you about your treatment options. Call our office to determine if spinal decompression is right for you!